Need to give your designer bags a good cleaning? Check out these places to keep your babies in tip top shape. Estimated Rate: Prices are around $45 for cleaning of handbags (complimentary with conditioning) and handbag colouring starts at $100. Known for: Professional and top-notch colour restoration services. Cleanique provides a variety of services for your designer bags, including cleaning and preservation, colour restoration/dyeing and repair services. Although they are a bit pricier than some other places, they do a careful and thorough job. 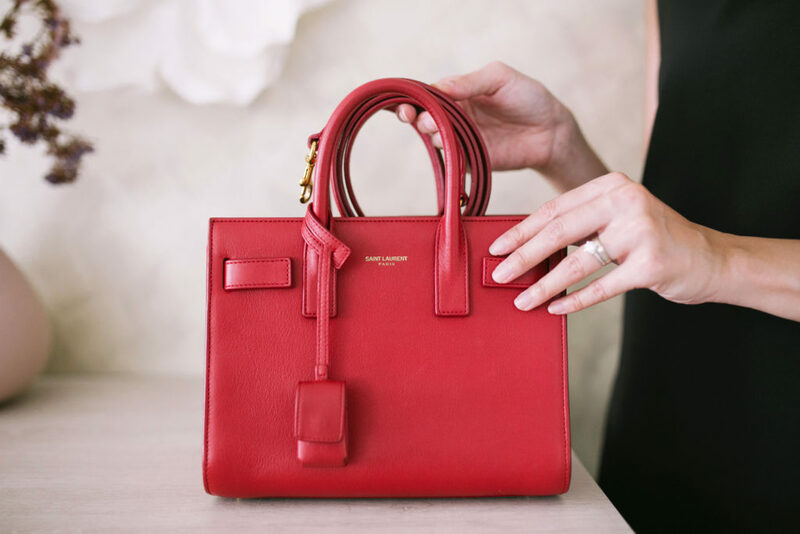 We hear designer boutiques even refer their customers here for bag cleaning services. Estimated Rate: Prices for cleaning range from $20 for a wallet to $40 for a bag. Colour restoration for bags starts from $100 and up. Complete price guide here. Famous for: Dye jobs and restoring your designer bags. ColorWash has been around for sometime, and is one of the more well-known bag spas in Singapore. Despite their popularity, their prices still remain reasonable and they are best known for re-colouring and restoring old or stained bags. They do take quite a bit of time though, so you can expect to wait around 3 – 4 weeks before you can get your bag back. Estimated Rate: Prices for cleaning range from $35 for a small handbag to $60 for a large one. Colour restoration starts from $80 and up. Famous for: Extending the life of your designer bags. BAG SPA is great for that used-to-death designer bag that has lost its lustre. They specialise in bio-cleaning, which is a natural, non-toxic method of cleaning and is gentle on your bags. Bio-cleaning includes the removal of dirt, grime, smells and mould (gross, but it happens). Other services offered include waterproofing and repair services. Estimated Rate: Prices range from $65 for cleaning/polishing of handbags to $100 for repair services for bag linings. Famous for: Reliable and effective services. The Bag & Shoe Aesthetics offers great customer service – they are friendly, knowledgable and professional. Small details like stuffing your bag and sprinkling scented beads inside before returning add a nice touch. They are also known to handle delicate materials well, such as crocodile or snake skin. Estimated Rate: From $60 for cleaning (A4 size bag) – varies depending on amount of cleaning needed. $150 per bag (regardless of size) for High Performance coating (lasts for up to 8 months). Famous for: High performance coating to prevent stains and colour transfer on your bags. Dr. Bags is fairly new compared to the other places on this list, but they already have 4 outlets in Singapore. The Korean bag spa offers standard services like cleaning and colouring, but it’s their innovative high performance (HP) coating that differentiates them from the rest. The special invisible coating, which lasts for up to 8 months, is surprisingly effective at repelling stains and colour transfer (from denim and dark clothes) onto your bag. Dr. Bags also does the job relatively fast (about 2 weeks or less), and the staff there are generally quite polite. Curious about their cleaning and colouring services for bags? See our results here. Estimated Rate: Prices range from $21.99 for Leather Care Conditioners to $26.99 for Patent Care Kits. Famous for: Products to protect, clean and refurbish your designer bags. OK, this place doesn’t exactly offer handbag cleaning services, but they do sell a whole range of top tier products for cleaning, protecting and restoring your bags. We recommend the Apple Garde Rain & Stain Repellent, which protects your bags from water marks and stains. For best results, spray it on your new designer bags before using – this will protect it from future stains and marks.You might want to spray your bag in a well-ventilated area though, because the smell can get quite strong. The Apple Leather Care Cleaner is pretty good as well. If you’re clueless about how to use the products, check out the handy care guides on the site.